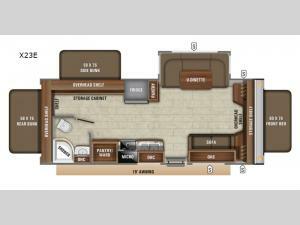 It's time to load up your family and a few friends to go camping in this Jay Feather X23E. You will appreciate all of the space inside, plus there are accommodations to sleep nine people with the two tent end beds along the front and rear, and the tent side bunk of this expandable. 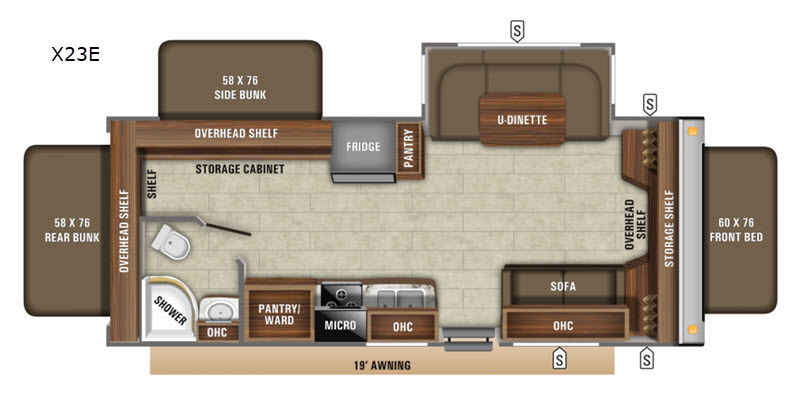 You can dine, play games, and even sleep on the u-dinette within the slide out, and there is a sofa. You will find plenty of storage on the overhead shelves, storage cabinets, and outside along the exterior. Easy to store, easy to tow, and full of space. Take a look today!